Moyne Athletic Club, founded in 1948, caters for athletes of all ages from six years and older. 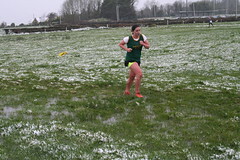 We compete at cross-Country, Track and Field, Indoors and Road Championships at all levels; County, Munster and National. Our training facilities include a 4 lane 400m floodlit tartan track, an indoor facility with nine 30m lanes and long and high jump areas, a gym with supervision, a cross country course and a walking area. We are a welcoming and encouraging club and aim to foster participation as well as success. The Irish Times is on the hunt for the Best Sports Club in Ireland, and we want you to help by writing a short pitch for a club you know and love. You don’t have to be a member to nominate a club. The winning sports club, to be announced in June, will receive a prize of €5,000, with a further €1,000 for another deserving entrant.